Yes, I am being just a little sarcastic but there is a lot more to this than I first thought. Take bait for example. I was under the impression that bait consisted of bread, worms and maggots. Blimey! there is a whole industry built around the stuff. I mentioned before that I was surprised that fish liked bananas (still not sure how they peel them...) and that I was not sure that was more for the angler's benefit - The jury is still out on that one as I have yet to give it a try. Still, I have done my homework and have been drying as 'processing bread into fine breadcrumb ready to take its part as a good percentage of my groundbait mix. This groundbait thing sounds like it will be interesting experimenting with. Yesterday I stocked up on some more ingredients from my local Aldi store. Biscuits - 2.4Kg of them and I only spent £2.04! Four packets of custard creams and four packets of gingernuts at 26p and 25p respectively for a 300g packet. 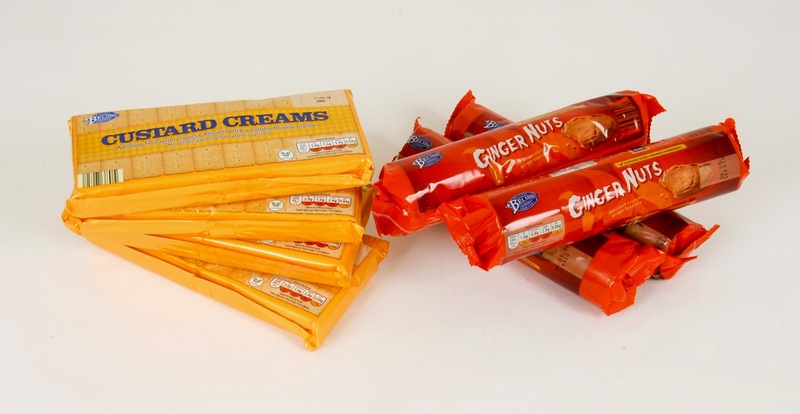 Aldi sell cheap biscuits - All this lot cost £2.04! The intention is to grind all these up into powders and mix them with other processed (whizzed!) dry ingredients, some of which are to be combined, to recorded recipes and see what works and what doesn't, over a period of time. My thinking, at this time, is to mix the dry ingredients by volume rather than weight. I am going to make up some base mixes and add 'enhancers' to them at the water's edge. For example if I am fishing with sweetcorn I will add, not only some of the kernels, but use the juice topped up as required with the lake water to get to the required consistency. 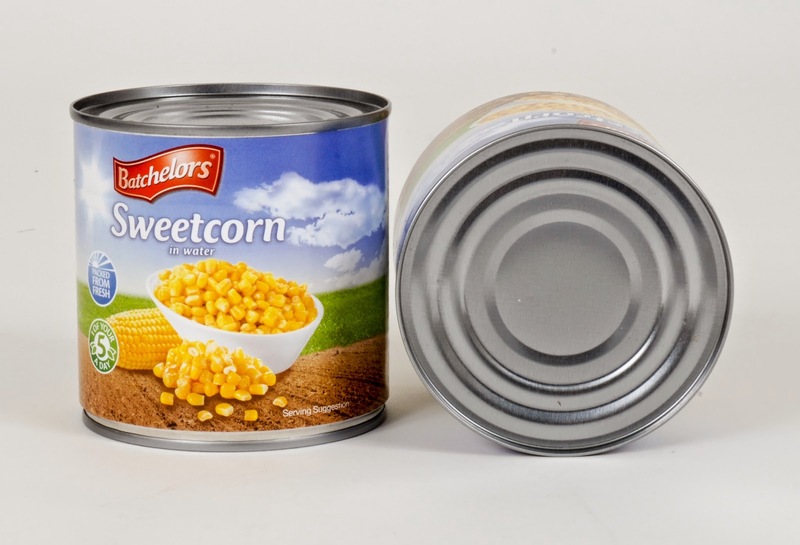 I found 285g cans of sweetcorn in Iceland for 50p, even if you do have to use a can opener on them! Lots of experimenting to do here at a later stage but for now I am happy to collect and process the ingredients. Sweetcorn from Iceland is only 50p per 285g can! I found a lot of good basic information on the web and have managed to collect together some basic equipment from various sources. I have come to the conclusion that buying used tackle and accessories on eBay is a minefield of junk mixed in with the odd bargain. It may be of more use with a bit more experience. The final straw was a listing that promised the basics required for boilie making. I was really surprised when I won it on the starting price, my inexperience was working against me. The boilie gun was not. It was a very badly converted caulking gun that was filthy, the boilie rolling tables had a foot missing (or, to be fair, maybe it was lost in the packing and I accidentally threw it away) and the various ingredients were years out of date, rancid and most of the bottles of flavour and colour were almost empty. what was not empty was spilling out into the cardboard box that had been lightly filled with second hand pacing materials , old boxes and carrier bags. It was disgusting, I have no idea how anybody would have thought this was an acceptable way to sell anything. I kept the tables and a few odd bits of food flavouring. The so-called boilie gun might be recoverable with a complete rebuild using replacement parts designed for the purpose. I have put a request into to Gardner, the makers of the rolling tables, to purchase some new feet. All in all I did just about cover what I spent, but I could have bought a couple of new rolling tables for what this cost me. The rest of it went straight in the bin - Lesson learned! I have now ordered a new boilie sausage gun and will go out and buy fresh ingredients once I have collected together my own dedicated set of cookware. 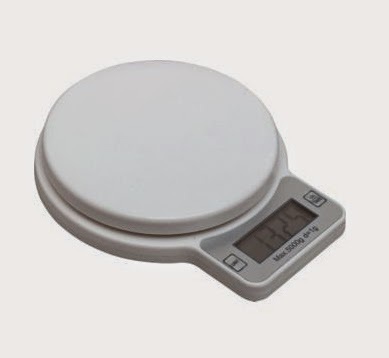 Digital scales for under seven quid from Argos - they'll do! Buckets, bowls, jugs, mixing spoons etc can be found in the local pound shops or if I am looking for a cut price deal I might have a look in the 99p shop! I have also spotted a set of digital weighing scales for a few pound in Argos. Even if I am not going fishing there is plenty to keep me occupied on the bait front at the moment. While I am gathering the ingredients and equipment to make boilies, I am slowly building up my stock of groundbait material ready for mixing into my various experimental base mixes. It is not so bad doing all this studying and experimenting at the moment, while it is all new to me. As time goes on I hope to find some other fishing venues to get some fishing in where I can put all this theory into practice. Hopfully by this time next year I will be able to spend much more time fishing than reading about it. I am liking the idea of a bit of urban fishing. It seems to be the in thing at the moment but finding out who looks after what stretch of water is not as easy it seems. Most of the local clubs that look after the water seem very hard to communicate with. However there is some light at the end of the tunnel, I have found a local tackle shop not far from me. 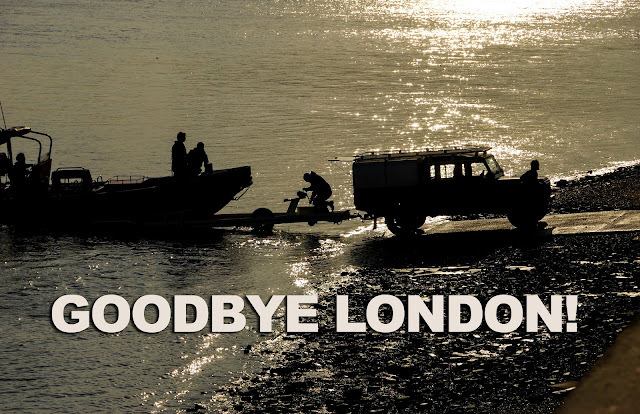 I intend to go and buy a few bits and pieces of tackle that I need and see if I can find out where I can fish locally.